← These Capitals Are Making Me Thirsty! IF Joel Ward makes a big play – Drink. IF Tom Wilson gets in a fight – Finish your drink, complain about how bad the Pacquiao-Mayweather fight was. 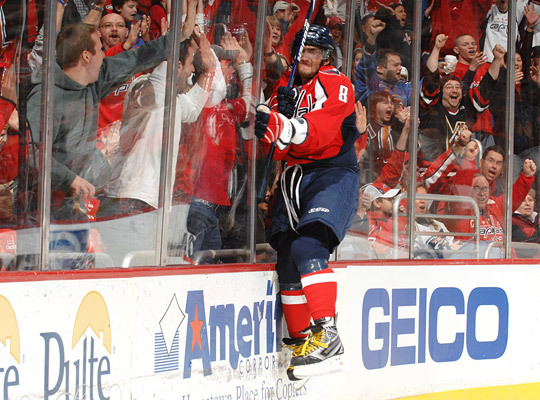 IF Alex Ovechkin scores – Finish your drink, jump forcefully into the nearest pane of glass. IF Jason Chimera beats an opponent in a foot race to the puck – Drink your neighbor’s drink faster than they can stop you. IF Jay Beagle wins a face-off – Drink, bay like a hound dog. IF Andre Burakovsky scores – Drink a glass of full-fat buttermilk, because if he can’t celebrate with a drink, neither can you. IF Troy Brouwer misses an open net – Pour your drink into a glass, throw it wildly over your shoulder. IF Nicklas Backstrom records an assist – Gently and deftly pour your neighbor’s drink into their mouth, better than they could do themselves. 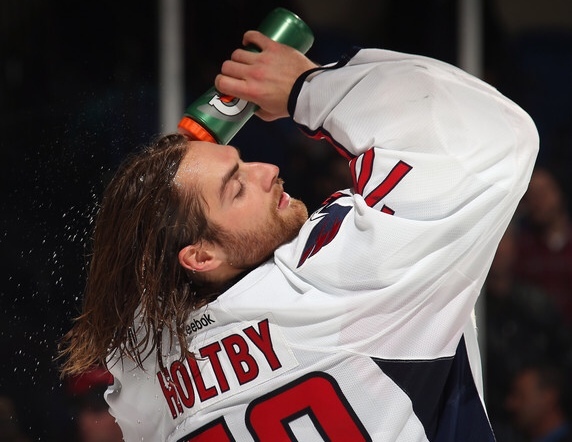 IF Braden Holtby takes his mask off on television – Pour your drink on your pants, pretend they weren’t already wet. IF Martin St. Louis scores for the NY Rangers – Drink, make a cheap Hobbit joke that betrays more of your true Lord of the Rings fandom than you’d like. IF the Madison Square Garden crowd chants “Let’s Go Rangers” – Drink. IF the Madison Square Garden crowd chants “Hooo-o-o-oooooltby” – Drink, with increasing impatience. IF the Madison Square Garden crowd chants “We Are Loud-er” – Drink, take peace in the calming salve of knowing that you chose to live in the right city. 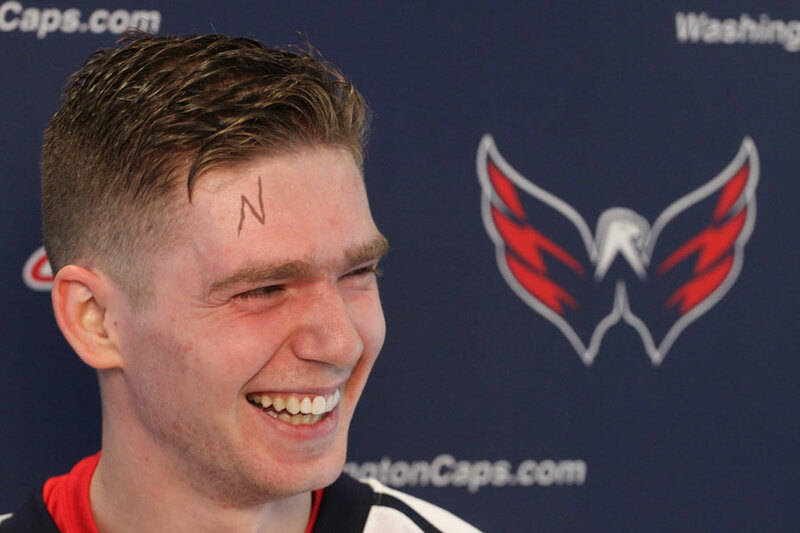 IF Mike Green misses a check/puck – Buy a drink at your nearest bar, pay way too much for it a year from now. IF the NBC broadcast team questions Ovechkin’s leadership – Chug, for the entire duration of their cognitive dissonance. Pictured: Mike Milbury, NBC commentator. I once told him he sucked outside the Winter Classic. IF the period ends – Finish your drink and get another, because how else will you survive the next one? IF the NY Rangers win – Drown your sorrows in an unending deluge of sweet numbing poison. 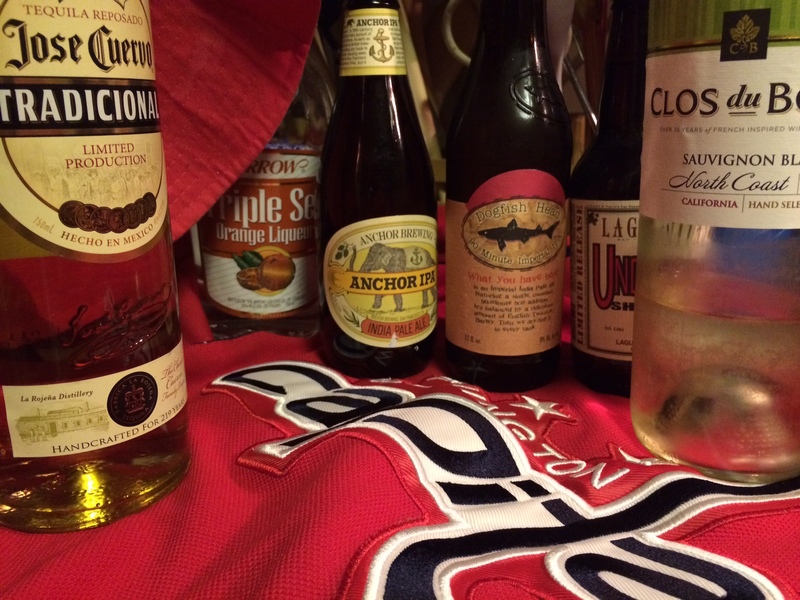 IF the Washington Capitals win – Saturate your limitless joy in an unending deluge of your favorite freaking booze. Jason Rogers lives in D.C. and writes for PuckBuddys, Japers' Rink, and The Classical. Follow him on Twitter @HeyJayJRogers. This entry was posted in Washington Capitals and tagged Drinking Games, Humor, Stanley Cup Playoffs. Bookmark the permalink. Girl, I’m side-eyeing that Clos du Bois sauv blanc real hard right now.